They do it without realizing… Every time they do, and we catch them at it, we girls laugh… but there’s plenty of times we find ourselves doing the same thing, and we’re not blood related! Is it because of our situation, lifestyle, or the fact that we spend so many hours together? There’s no doubt we’re a family ranch! For further proof, see Victoria’s photo post I shared on Facebook. Oh, and the odd man out in this photo is my brother-in-law… obviously, he needs to hang out with us more! Looks like they are related, alright! You are a lucky lady to have that lineup of men in your life, but I am sure you know that! Love the picture. OH what nice view. 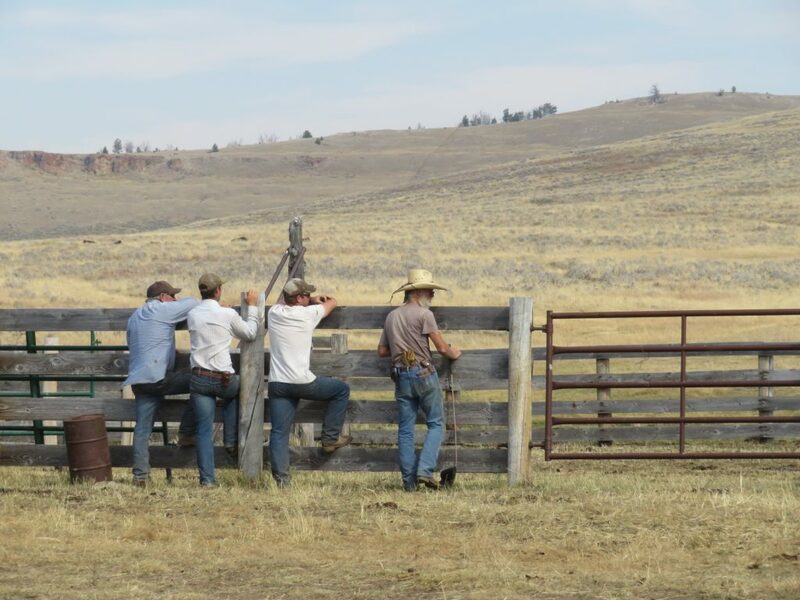 Hats off to all cowboys who lean on fences.